A donation by 2-year-old Matthew Wurmser brings the State Department’s unoffical count to 5,002 toys donated to the Toys for Tots program as Brig. Gen. Robert Milstead accepts the gifts on the program’s behalf. 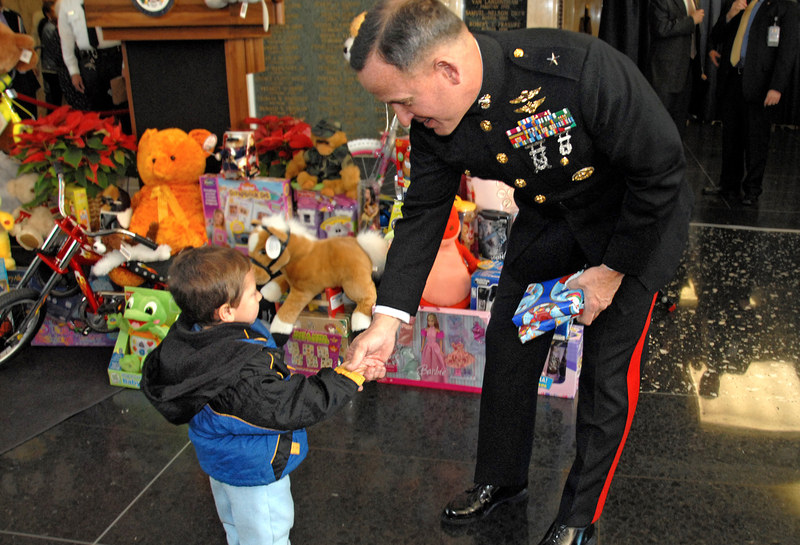 Secretary of State Condoleezza Rice presented the toys to the Marine Corps Dec. 20 at the Harry S. Truman Building following the departments sixth annual Toys for Tots drive.